• The stator is the outer body of the motor which houses the driven windings on an iron core. In a single speed three phase motor design, the standard stator has three windings, while a single phase motor typically has two windings. • The inner surface of the stator is made up of a number of deep slots or grooves right around the stator. It is into these slots that the windings are positioned. 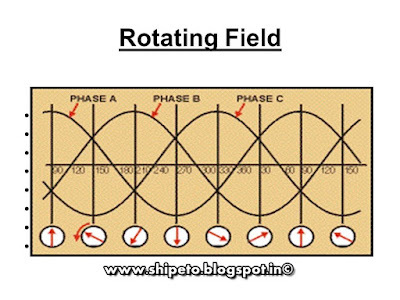 • The arrangement of the windings or coils within the stator determines the number of poles that the motor has. • It has poles in multiples of two. i.e. 2 pole, 4 pole, 6 pole etc. • The winding configuration, slot configuration and lamination steel all have an effect on the performance of the motor. • The voltage rating of the motor is determined by the number of turns on the stator and the power rating of the motor is determined by the losses which comprise copper loss and iron loss, and the ability of the motor to dissipate the heat generated by these losses. The stator design determines the rated speed of the motor and most of the full load, full speed characteristics. • The Rotor comprises a cylinder made up of round laminations pressed onto the motor shaft, and a number of short-circuited windings. • The bars protrude beyond the rotor and are connected together by a shorting ring at each end. • The position relative to the surface of the rotor, shape, cross sectional area and material of the bars determine the rotor characteristics. 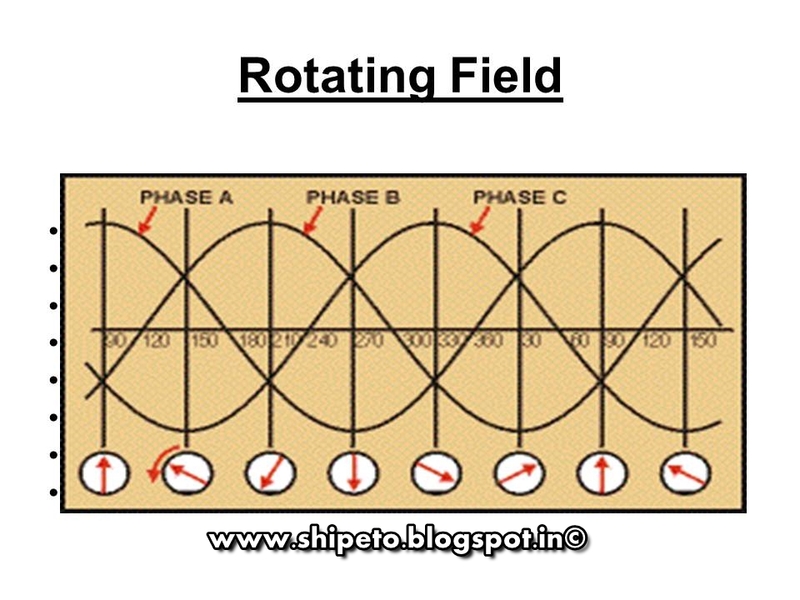 • the rotor windings exhibit inductance and resistance, and these characteristics can effectively be dependant on the frequency of the current flowing in the rotor. • Two bars of equal dimensions will exhibit a different A.C. impedance depending on their position relative to the surface of the rotor. • They are wound for 3 phase, star connection. • Resistances can be added externally and these resistances can be varied from zero to a maximum value. • This results in a very high starting torque from zero speed to full speed at a relatively low starting current. • This type of starting is ideal for very high inertia loads allowing the machine to get to full speed in the minimum time with minimum current draw. 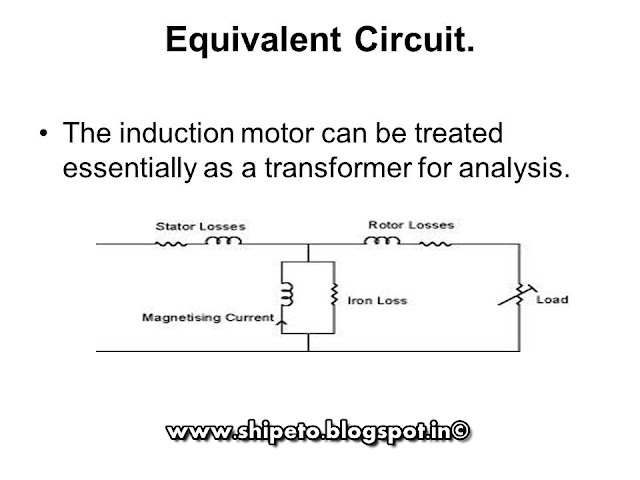 • The induction motor has stator leakage reactance, stator copper loss elements as series components, and iron loss and magnetising inductance as shunt elements. The rotor circuit likewise has rotor leakage reactance, rotor copper (aluminium) loss and shaft power as series elements. 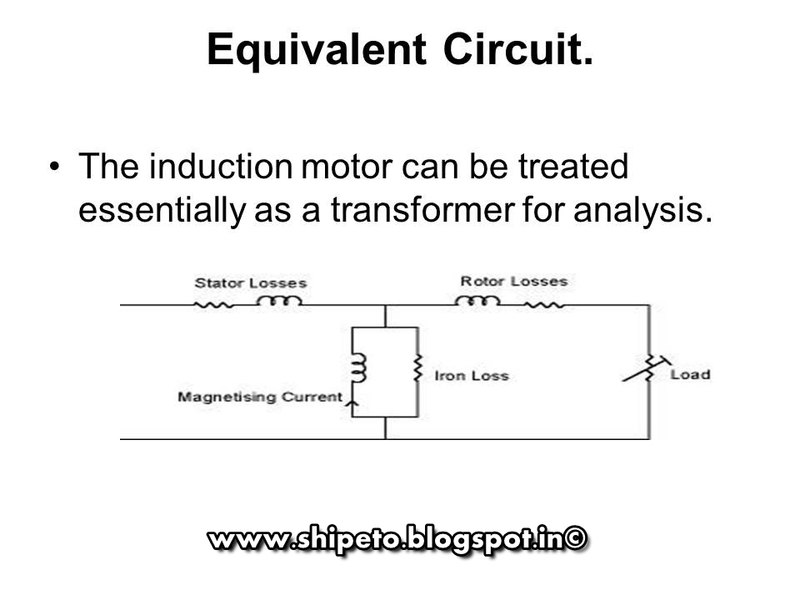 • The transformer in the centre of the equivalent circuit can be eliminated by adjusting the values of the rotor components in accordance with the effective turns ratio of the transformer. • In order to perform useful work, the induction motor must be started from rest and both the motor and load accelerated up to full speed. 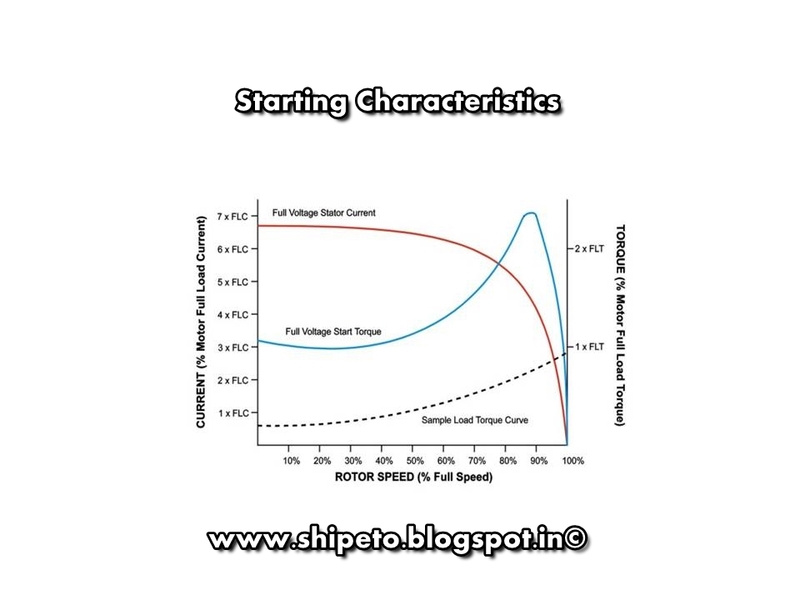 • If the start voltage applied to a motor is halved, the start torque will be a quarter, likewise a start voltage of one third will result in a start torque of one ninth. The TEFC motor is totally enclosed in either an aluminium or cast iron frame with cooling fins running longitudinally on the frame. A fan is fitted externally with a cover to blow air along the fins and provide the cooling. These motors are often installed outside in the elements with no additional protection and so are typically designed to IP55 or better. • Drip proof motors use internal cooling with the cooling air drawn through the windings. They are normally vented at both ends with an internal fan. This can lead to more efficient cooling, but requires that the environment is clean and dry to prevent insulation degradation from dust, dirt and moisture. Drip proof motors are typically IP22 or IP23. ODP – An open drip proof motor is the most common one used in industrial settings. This motor doesn't have a fan and has openings which can be penetrated by dirt and water, so it is ideal for indoor use. TEFC – A totally enclosed fan cooled motor has a fan mounted to blow air across the motor frame. Because the fan is sealed, no external elements can get in. TEFC fans are often used with conveyors. TEBC – A totally enclosed blower-cooled motor includes a fan that is controlled apart from the motor. These are typical in applications calling for larger horsepower, like a crane and hoist, or in variable speed applications where the motor may operate near zero revolutions per minute. • Phase voltage = 440 / √3 = 254 V.
(iii) Maximum mechanical power output = (1-s) Protor = 0.97 x 36,160 = 35,075 w.